Chart Topping Crooner Chris Isaak in Concert THIS Sunday! 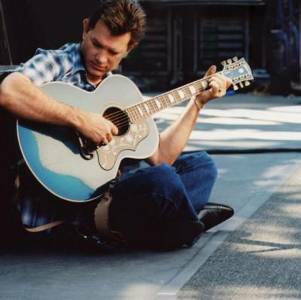 ALBUQUERQUE, NM—Enjoy a summer night outdoors with the sounds of pop crooner Chris Isaak, this Sunday, July 3, 8 p.m. at the Zoo. Presented by the New Mexico BioPark Society, this show is a special Go Wild fundraiser concert benefiting the ABQ BioPark. Throughout his impressive recording career—from his stunning 1985 debut to this latest release—Chris Isaak has tunefully and artfully explored the good, the bad and the ugly of love, as well as other matters of profound human interest. One of his best known songs, “Wicked Game,” reached No. 6 on the 1991 Billboard pop charts and featured in David Lynch film “Wild at Heart.” The song’s black and white video, directed by Herb Ritts, featuring model Helena Christensen frolicking on the beach with Isaak, won MTV Video Music Awards’ Best Male Video and ranked #13 on VH1’s 100 Greatest Videos. Some of his other popular hits, both from 1995’s “Forever Blue” include “Baby Did A Bad, Bad Thing,” featured in Stanley Kubrick&apos;s film, “Eyes Wide Shut” starring Tom Cruise and Nicole Kidman, and the significant “Somebody’s Crying” which resulted in Grammy nominations for both the single and album. Tickets are $25 in advance and $30 day of show. There are no additional service charges or facility fees. Available at www.GoWildConcerts.com or from any Zoo or Aquarium/Garden cashier. The BioPark is an accessible facility and a division of the Cultural Services Department, City of Albuquerque, Richard J. Berry, Mayor. The New Mexico Biopark Society s a 501c(3) non-profit organization that supports the ABQ BioPark. For more information, visit www.cabq.gov/biopark or call 311 locally or (505) 768-2000 (Relay NM or 711).